Happy Monday everyone! It was soooo hot here in the Bay Area, why don't I own a pool? Despite the heat, we enjoyed Saturday with good friends and a lovely trip to Regale Winery and Vineyards. The property and views were breath taking and the boys enjoyed a intense game of bocce. 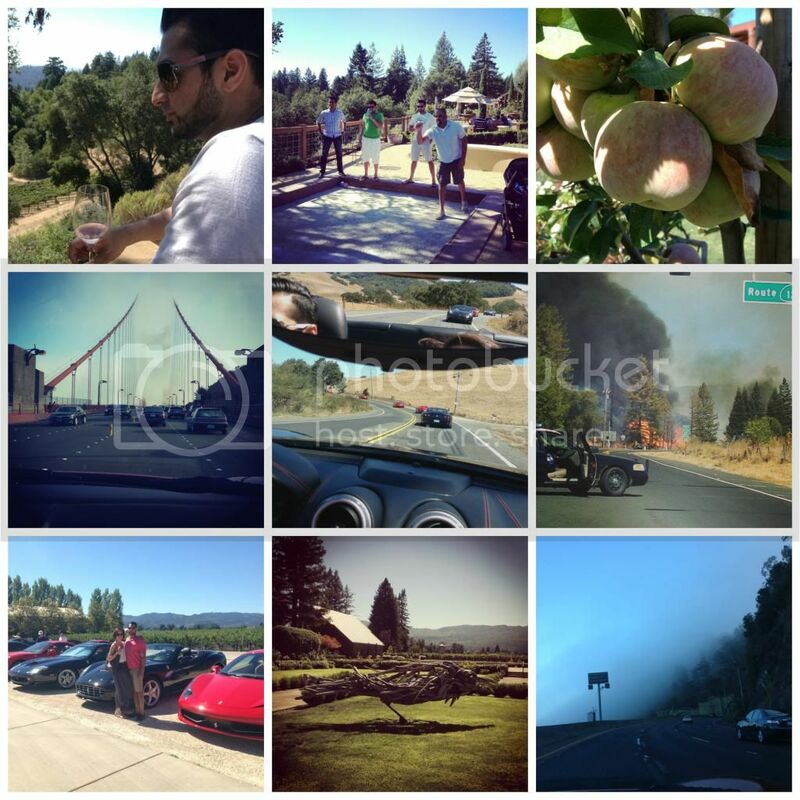 Thank you for the invite Sumit, we had a great time:) Sunday we joined a car rally: Destination Wine Country. We enjoyed a stunning backroad trip through meadows, redwood grooves and vineyards of Napa Valley. Unfortunately on our drive we also witnessed what was the beginning of what became a 40 acre fire in Sonoma. It's so dangerous this time of year, it's very dry, and only takes one spark. Fortunately , no one was hurt. The rally ended with a private tasting at Kelham Vineyard. The venue was stunning, the wine delicious , and the family gracious. I very much enjoyed, as the owner described, the French style Chardonnay. Yummy! Our busy weekend ended with a family time walk to Los Altos for dinner, just the three of us. Me, Shaun and our boy Arthur, the cutest Bernese Mt Dog ever. Have a great week!